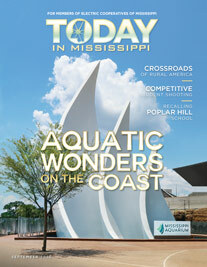 For local advertising rates, contact Rickey McMillan at 601-605-8600 or advertising@todayinmississippi.com. Today in Mississippi has the largest circulation of any Mississippi periodical. This consumer-owned tabloid publication contains features on Mississippi’s people, places and history, as well as co-op news and programs. Today in Mississippi is published 11 times a year, with November and December combined as a Holiday issue.